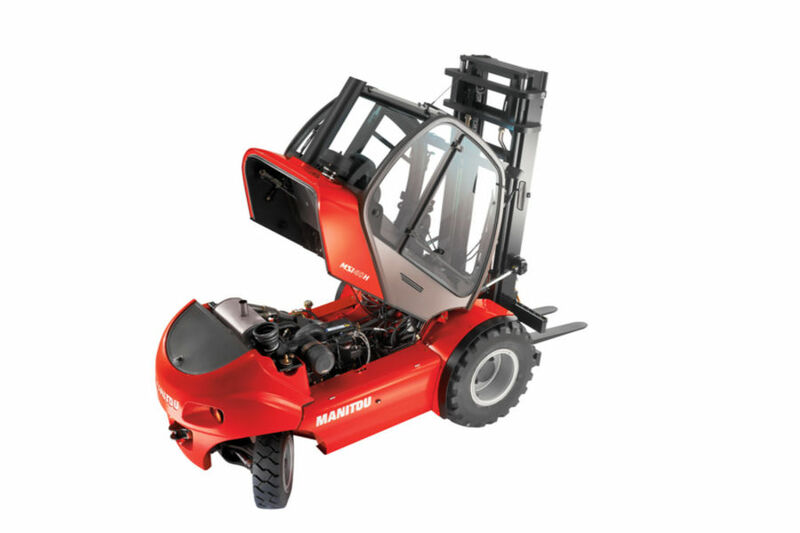 The MSI 40 is a one-of-a-kind semi-industrial forklift truck with unparalleled versatility and comfort. With its two-wheel drive and the wide range of tires it can be equipped with, it is equally at ease handling longer loads as well as heavier loads. It's an ideal fit for the timber and recycling industries as well as for use in standard handling operations, with a lifting capacity of up to 4 tonnes. This machine readily handles smooth and semi-smooth traveling surfaces and, with its hydro-static transmission, approaching loads is smoother and more precise than ever for improved performance. For the driver's comfort the cab can be accessed from both sides and is suspended to better absorb shocks.